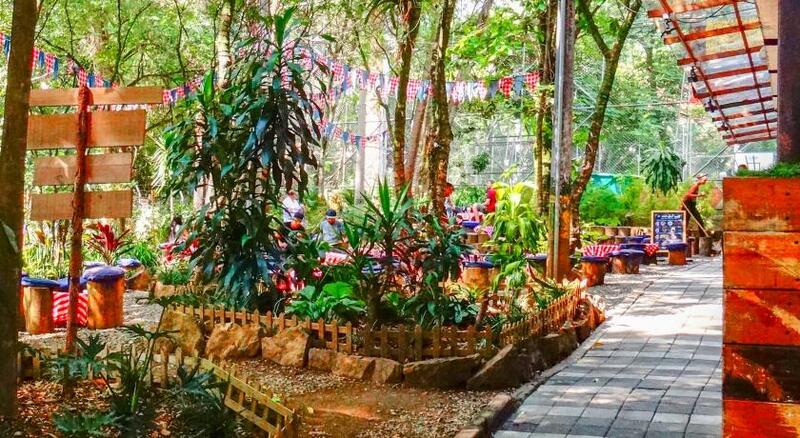 Lock in a great price for Cocobamboo Hostel - rated 8.6 by recent guests. I was here for 17 days with my own room. What i like was the staff especially Jorge, Great person and service. The breakfast was good and the location to, safe area in poblado. Good service. Personnel was really friendly and helpful. Lots of information about possible trips. Clean and quiet room. Staff very friendly and helpful. Delicious breakfast. Perfect location in a nice and secure neighborhood. Private room quite spacious and clean. Spacious room with storage space, excellent hot water and expected amenities. Wi-fi reception was excellent with router literally on the outside of my door frame, but internet speed was mediocre. Cozy bedroom and friendly staff that was always willing to help. The hostel's position is great because it has restaurants and a little supermarket near it. The location was very nice and also the breakfast was good. The staff was very helpfull. Location and breakfast are the best things. Other stuff is just above average. What u expect from cheap accomodation. CocoBamboo is located in Medellín, 12 minutes’ drive from Enrique Olaya Herrera Airport. Free WiFi access is available. The functional accommodations might feature a private bathroom or a shared one. Free toiletries are provided. Extras include bed linen and cleaning products. At CocoBamboo you will find a 24-hour front desk, a terrace and a bar. Other facilities offered at the property include a shared lounge, a tour desk and laundry facilities. The property is 5 minutes’ walk from Lleras Park, 10 minutes' from El Poblado Park and 20 minutes’ drive from Pueblito Paisa. Guests will be able to find several options of coffee shops, eateries and restaurants less than 10 minutes’ walk from Cocobamboo Hostel. El Poblado is a great choice for travellers interested in nightlife, food and friendly locals. This is our guests' favourite part of Medellín, according to independent reviews. This property also has one of the best-rated locations in Medellín! Guests are happier about it compared to other properties in the area. 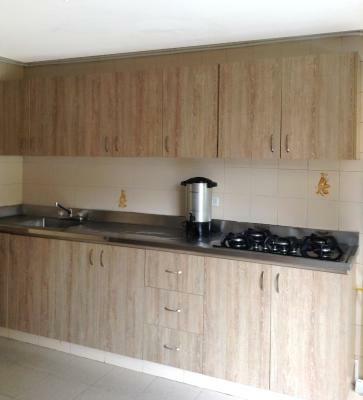 This property is also rated for the best value in Medellín! Guests are getting more for their money when compared to other properties in this city. Cocobamboo Hostel has been welcoming Booking.com guests since 24 Dec 2014. When would you like to stay at Cocobamboo Hostel? Private double room with an en-suite bathroom. This room has 2 single beds, 1 double bed and features a shared full bathroom with shower. It also includes a flat-screen TV. Private room with 1 double bed, 2 single beds and an en-suite bathroom. This room features a shared full bathroom. Single bed in shared dormitory room that features a shared full bathroom. This family room has a private bathroom with free toiletries. It also includes a flat-screen TV. Property surroundings – This neighbourhood is a great choice for travellers interested in nightlife, food and friendly locals – Check location Excellent location - show map Guests loved walking around the neighbourhood! House rules Cocobamboo Hostel takes special requests - add in the next step! Cocobamboo Hostel accepts these cards and reserves the right to temporarily hold an amount prior to arrival. If you travel alone and want to meet people then this is not the right place for it Walls of the room was a bit dirty. Room quite obscure with few daylight. The bathroom's tap was broken. Although it was clean, it had a worn-out look of a budget hostel with walls that probably haven't been painted in years. Jack hammer from construction across the street made daytime noisy, but it was quiet at night. The shared bathroom downstairs is really small. I barely could sit on the toilet. The room was good, the staff is super nice, the breakfast is good and the location is perfect! staff were rude & unhelpful. Breakfast was basic. There was a lot of construction going on (not the hostel's fault) but it made it hard to lie in in the morning. Good location, clean & cheap. WiFi is really spotty. Seating in the back courtyard (where it's quieter) is quite limited. No smoking rules not well enforced. Great facilities, nice breakfast, great location in Poblado. Staff always available 24/7. Kitchen well stocked with dishes and pots/pans. Bed was very comfortable, room had a fan and large windows, so overnight temperatures were fine. Great shower, hot water, good water pressure--bathroom overall was really good. Lots of storage space in the room. Great overall experience. the room was comfortable and it was perfect with private bathroom. Perfect location!!! The STRONG mold smell in room 103. The breakfast should include coffe and juice not only one option. Should have safetybox in the room. The kitchenstaff veeeery friendly. Nice shared areas. Walls are really thin, you can hear things downstairs. Depends on your room. The location is great. 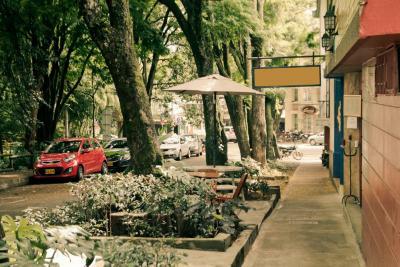 Its a 5min walk from all the ruckus that is parque lleras. For starters I booked an airport shuttle for when I arrived. I confirmed with the hostel and provided my flight information. When I arrived no one was there to pick me up. I arrived at 1am in the morning due to delayed flights but this is unsettling to have an airport shuttle confirmed and no one was there when arriving late. No one answered my email when I reached out. If you are traveling alone and expecting a backpackers environment to meet people this is not it! There is no communal area to hang out or meet people. My room had no ac, fan or windows so it was very hot. You can also hear the street traffic, and people from other rooms. Overall ok but just know you are paying for just a bed and bathroom. Location is great. Restaurants and bars within walking distance. We got a room in the cellar without any daylight. There was a small window though that you could open to the hallway but the room smelled damp. Also we booked a twin room but we got a bunkbed and a normal bed which was nice to know beforehand and the upper bunkbed was completely broken and fixed with cardboard. The room was also very very small so we could hardly put our suitcases somewhere.